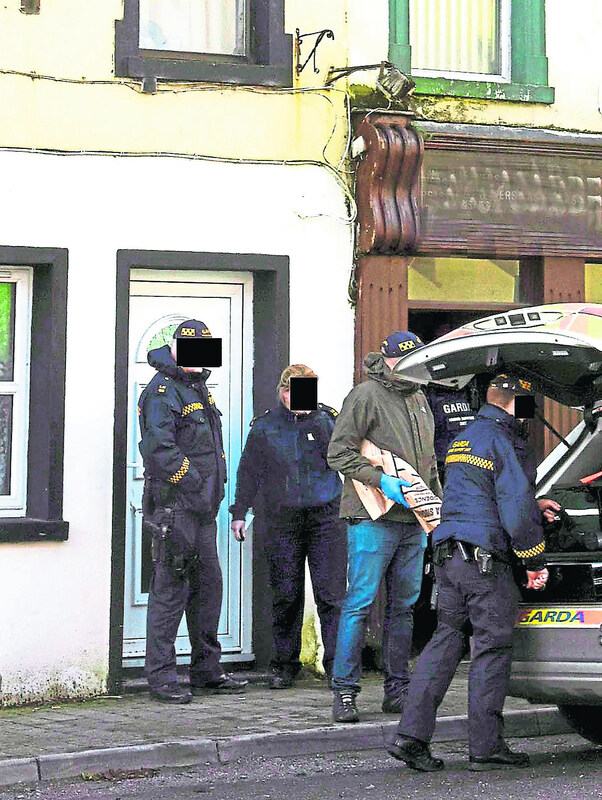 CRIMINAL figure Ger Dundon has pleaded guilty to charges relating to the seizure of a semi-automatic firearm in a Limerick village last year. When arraigned at Limerick Circuit Court on Tuesday, Dundon, aged 32, who has addresses in London and at Hyde Road, Limerick pleaded not guilty to possession of a semi-automatic sawn-off shotgun for an unlawful purpose. A jury of seven men and five women was told the firearm, which was wrapped in plastic and cling film, was located in a shed at the rear of a premises at Main Street, Bruff on February 26, 2017. The jury was told the adjacent property had been “under observation” at the time and that Dundon was seen entering the property with two other men shortly after 10.30am. Ahead of the resumption of the trial this Wednesday afternoon, Andrew Sexton SC, with Kenneth Kerins BL, said Dundon wished to be re-arraigned. When a lesser charge under the Firearms Act 1925 was put to him he replied “guilty”. After Shane Costelloe SC, prosecuting, confirmed the plea was acceptable to the DPP, Judge O’Donnell formally discharged the jury. It can now be revealed that Dundon’s two co-accused have also pleaded guilty to charges relating to the seizure of the pump-action shotgun. Liam ‘Lika’ Casey, aged 35, of Hyde Road Limerick pleaded guilty to possession of a restricted firearm without a licence when he was arraigned on Tuesday. Previously, Robert Kelly, aged 31, who has an address in Edenderry, County Offaly pleaded guilty to possession of the pump-action shotgun for an unlawful purpose. All three men were arrested in the Dooradoyle area on February 26, 2017 following a high speed pursuit involving members of the armed Regional Support Unit. It can now be reported that Dundon, who has several convictions, pleaded guilty, last December, to multiple charges relating to the pursuit. In addition to two counts of dangerous driving, the father-of-three pleaded guilty to a single charge of endangerment. Previously, Limerick District Court was told the Audi A8 Quattro which Dundon was driving became “airborne” while being driven at high speed through the car park of the Crescent Shopping Centre.